My friend decided she wanted Chinese food tonight and she wanted something along Gouger Street, so I randomly picked a Chinese restaurant that I haven’t reviewed. Based on the number of customers currently dining in the restaurant at the time, I chose Fortune Duck. A restaurant with very few customers often says something about the quality of the food. Tonight, we decided to share dishes, so we ordered the Honey Chicken, Beef in Barbecue Sauce, Kong Po Chicken and a serve of their Canton Fried Rice. It had been around 8 hours since my last substantial meal, so I was absolutely starving. The dishes started coming out 20 minutes after ordering. The main dishes came out first, and 5 minutes later, the Fried Rice came out. HONEY CHICKEN – The chicken had a nice crispy coating. Lean chicken breast was used which is great for the health conscious. The dipping sauce tasted just like honey! BEEF IN BARBECUE SAUCE – The beef was lean and tender, perhaps a bit too tender. 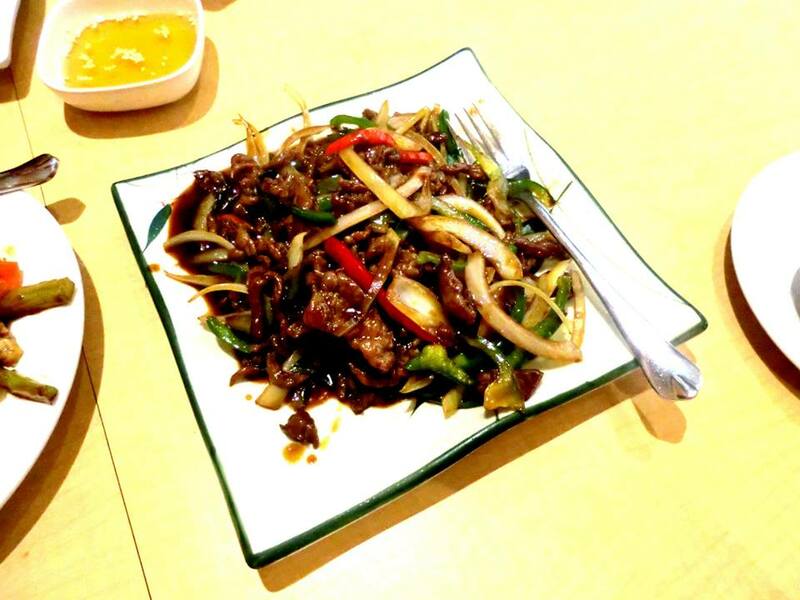 The beef was tenderised with soda powder to make it easier to eat (as most Chinese restaurants do), however the meat loses nutrients in the process. The vegetables were fresh and crisp, and the sauce was really tasty. A yummy dish none the less! KONG PO CHICKEN – The chicken was lean and perfectly cooked. The vegetables were fresh and crisp. The use of cashew nuts added crunch to the dish. The dish was full of flavour and well balanced. I felt it could have been a bit more spicy though. CANTON FRIED RICE -The rice was a bit oily yet it had a smokiness about it. It was almost as though the rice was left cooking in the one spot for too long causing some grains to be slightly burnt. We needed some carbohydrates with our proteins and this was it. The staff were really friendly and the service was slightly above average. The waiters were attentive when they wanted to be, but weren’t always around when you needed them. They cleared the plates each time one of them was empty so that was a good sign. The atmosphere was relaxed, even though the restaurant was half full. The pricing was really competitive when compared to the neighbouring Chinese restaurants. For the most part, I had an enjoyable dining experience here. I would consider eating here again if I really had to.